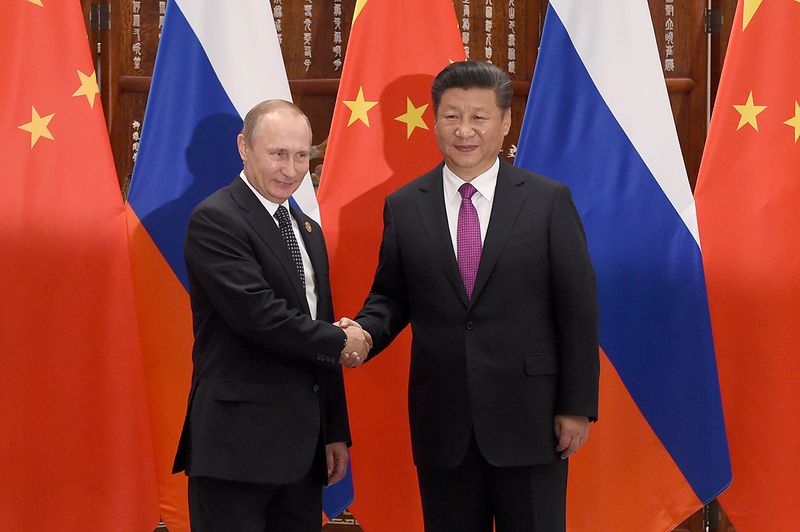 Chinese President Xi Jinping shakes hands with Russian President Vladimir Putin ahead of G20 Summit in Hangzhou, China, in September 2016. In May 2017 Beijing will host the Silk Road summit, where over 20 countries including Russia will engage in building a strategic undertaking to promote East-West cooperation. In an interview with Kommersant, Yan Xuetong, Dean of the Institute of Modern International Relations at Tsinghua University, spoke optimistically about the prospects for the development of China-Russia relations. Yan seemed skeptical about the thaw in Russia-Japan ties. “Abe is trying to buy you off to decrease the Russian influence on Chinese politics in the East Asian Sea,” he said. Yan Xuetong was born on December 1952 in Tianjin. He holds a Ph.D. in Political Science from Berkeley University. As a Chinese expert in International Research he is an author of many books on Modern Chinese politics. He also teaches at Tsinghua University and was named as one of world's Top 100 public intellectuals by the American journal Foreign Policy.